You might think that, after the announcement World of Warcraft: Classic, private servers running vanilla versions of Blizzard’s iconic MMO would call it a day. Far from it: two of the biggest such projects have announced new servers. Tickle your nostalgia bone with our list of the best classic games on PC. Light’s Hope – formerly known as Elysium, formerly known as Nostalrius – announced a new server near the end of last month. Kronos, who are quickly emerging as their biggest rival, are due to launch their third server on March 31. 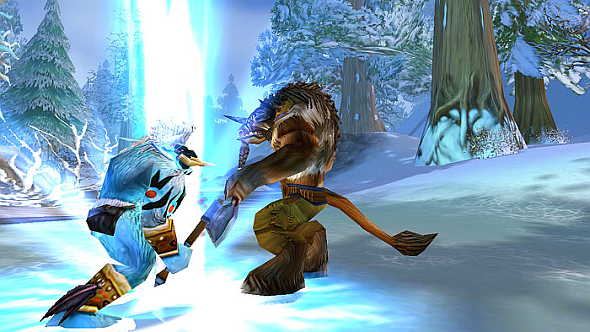 Community vanilla projects were created specifically to cater to nostalgic WoW fans in lieu of official servers, but rather than give up now that those servers are coming, community projects are recommitting. The most obvious reason for this is that WoW Classic is undoubtedly a long way off; it appears the announcement last November came right at the beginning of the development process. This leaves the legacy community in limbo, to some degree. There was a big conversation on Reddit around the Classic announcement about exactly how Blizzard are going to go about this – which version of vanilla, and will it include post-vanilla quality of life changes, perceived to cater to a more casual audience? It could be that scepticism, as well as impatience, is fuelling the legacy community’s continuing growth.